Atomspheric physicists have found that the way wildfire smoke from Africa interacts with clouds over the Atlantic Ocean results in a net cooling effect, which is contrary to previous understanding and has implications for global climate models. Clouds play a prominent role in moderating Earth's climate, but their role is still poorly understood. Generally, clouds cool the Earth by reflecting incoming sunlight back out into space. Reducing the clouds' reflectivity–with a layer of pollution, for example–reduces the cooling effect. However, new research in Proceedings of the National Academy of Sciences by physicists at UMBC and collaborators adds a surprising twist to this model. Every fall, fires race across central and southern Africa, creating so much smoke that it's clearly visible from space. Wind sweeps the smoke westward over the Atlantic Ocean, where it rises above the largest semi-permanent gathering of clouds in the world. For years, scientists believed that overall, the smoke diminishes the clouds' cooling effect by absorbing light that the clouds beneath otherwise would reflect. The new study by Zhang and colleagues doesn't dispute this effect, but introduces a new mechanism that counteracts it by making the clouds more reflective. "The purpose of this paper is to look at these competing processes. Which one is more important?" asks Zhang. Using data from a LiDAR system on the International Space Station, recent UMBC research found that the smoke and cloud layers are much closer to each other than previously observed. That means the smoke, which is in the form of tiny particles known as aerosols, can physically interact with the clouds, affecting how they form at the microscopic level. Previous studies usually overlooked these microphysical changes due to aerosols' interactions with the clouds. Clouds need "seeds" to grow. A seed can be any tiny particle around which cloud droplets condense. Aerosols are perfect for seeding clouds, and with more seeds, many small cloud droplets replace fewer large droplets, which then collectively reflect more light and increase the cooling effect. The team found that in smoky conditions, there are almost twice as many "seeds" per cubic centimeter. By running computer simulations under different conditions, they determined that overall, "The seeding effect is winning," Zhang says. So, contrary to long-held understanding, the overall effect of the hovering smoke on the clouds near Africa appears to be a cooling one. Zhang is quick to point out that this result is not an argument in favor of fires. "Aerosols are a very local phenomenon, and they are also short-lived," he says, so their cooling effects are short-lived, too. "The lifetime of carbon dioxide and other greenhouse gases," which are released in abundance when plant material burns, "is hundreds of years." The team's ultimate goal is to refine global climate models by improving how they account for clouds. 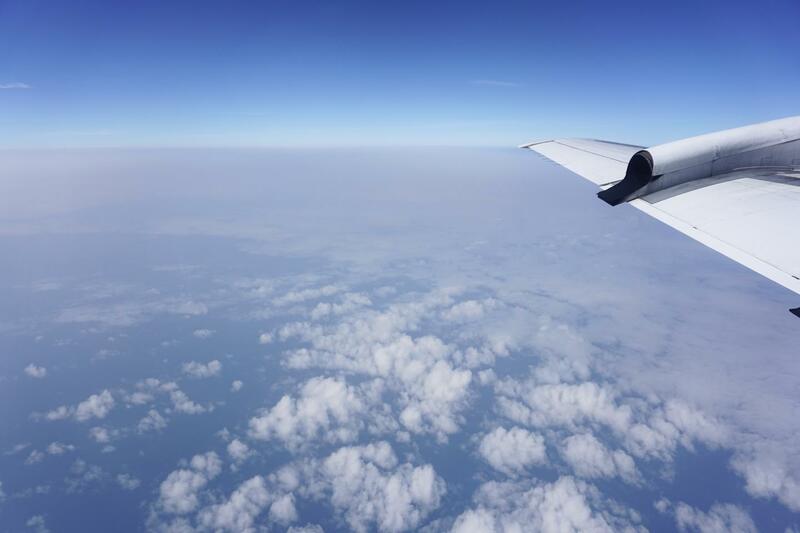 Zhang's other Ph.D. student and another co-author, Zhifeng Yang, has contributed to that effort by analyzing data collected by a satellite that stays put in the sky (rather than orbiting Earth) to get a more accurate sense of how cloud cover changes in daily cycles. The next step is to evaluate existing climate models against the team's new finding. "Now that we know there are two competing mechanisms, and the seeding effect is winning, we can see whether climate models consider these processes properly when they predict the weather and climate in this area," explains Zhang. A new NASA mission called PACE expected to launch in 2020 will aid their efforts. It will be able to detect polarized light, in addition to everything LiDAR can do. "With the new satellite you can look at things from different perspectives," says Zhang, and develop three-dimensional models of the interactions between aerosols and clouds. "Hopefully we can look at this phenomenon even better." Beyond the upcoming NASA mission, what really excites Zhang and his team is the opportunity to play a role in making sure communities around the world have the best information available as they prepare for the effects of climate change.